Ever the girl-on-the-go, there are some key essentials I've always got to have in my bag. Cell phone, date book, gum and business cards are all essentials for me but with summer arriving sooner than expected, a bottle of water is never far. 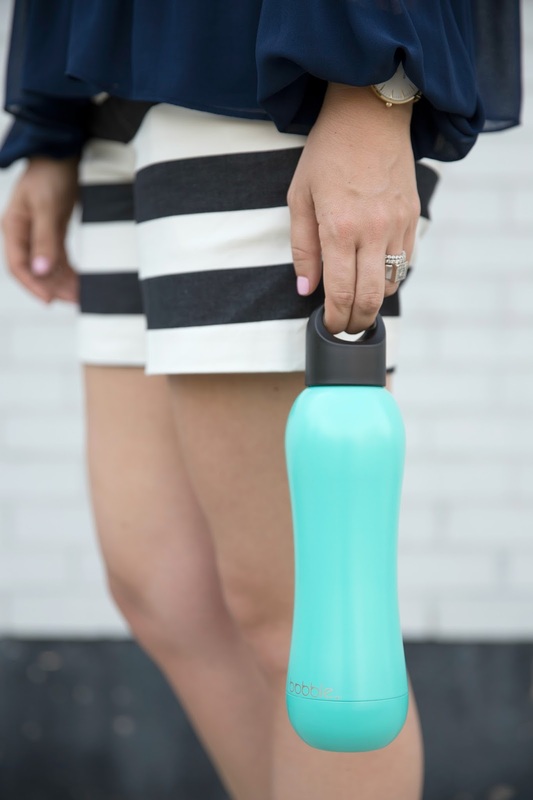 I tend to prefer insulated bottles as they can do double duty for coffee in the morning or a cold bottle of water on a scorching day. To say I'm obsessed with this new model from bobble would be an understatement. I've tried a few styles before and the sweating has been guilting of ruining a few pages in my notebooks - boo! But this bottle whether carrying coffee or ice water maintained its promise to keep my bag bone dry. Sounds silly but I also love that the opening of the bottle fits ice cubes - first world problems I know! 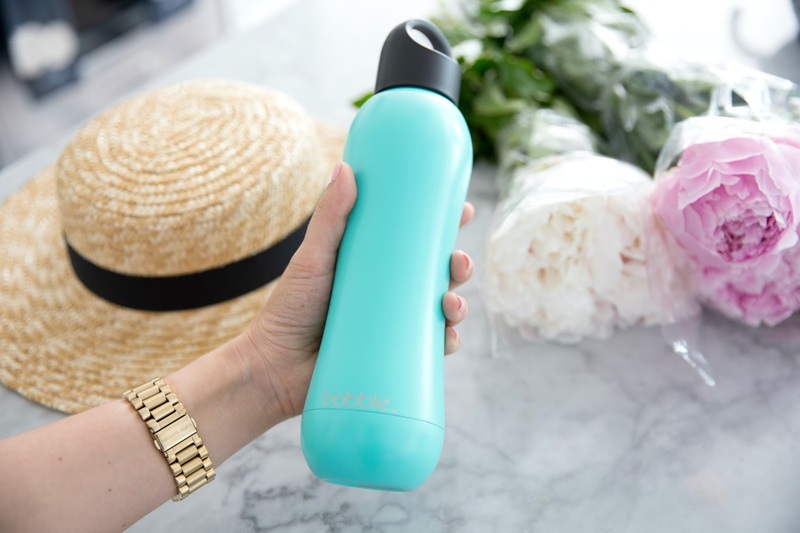 With fun, punchy colours and priced at under $25 - it's the perfect accessory for summer or a great gift idea for someone you know! Find this colour and more on Nordstrom's website now! So cute!! I love the chiffon blouse. It fits you perfectly! Beautiful, cruise chic like outfit! I'm loving your shorts! Loving this! 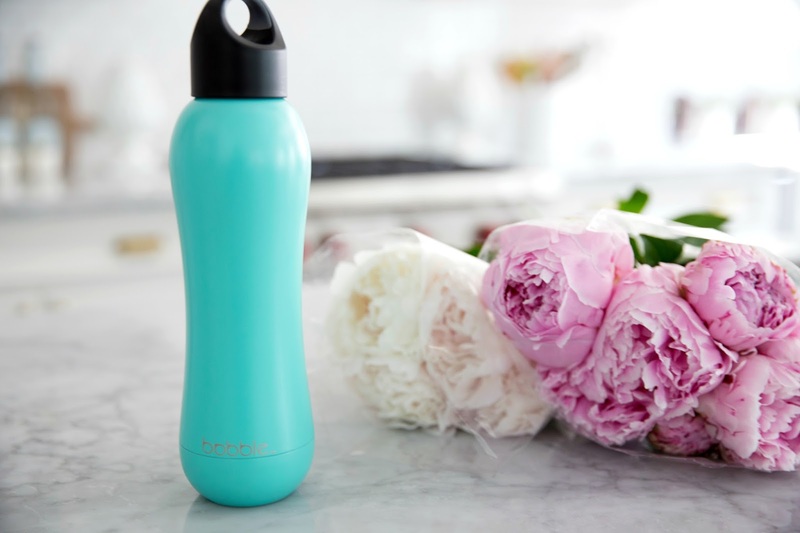 You are so right on how tricky it is to find that perfect water bottle! Oh I like the fact the water bottle doesn't get "sweaty" . . . I def must check it out. Escorts in Pune of these information are really amazing. Great to be here on this article and i was hoping for this info and then i have got many things from this article.Thanks for share this info. Great inspiring post you have share it. 1 dollar domain is nice place to get the nice offer.